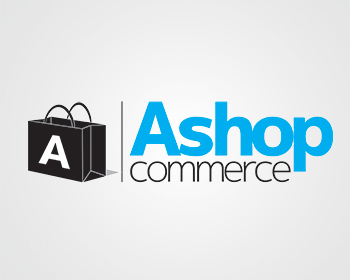 Ashop Commerce is a leading ecommerce provider that has been in the industry for more than 10 years. The Ashop platform is available worldwide and the company has offices in the US, UK, and Australia. In our Ashop Commerce review we’ll take a look at the ecommerce platform options and features to help you determine if this is the best shopping cart software to support your business website. The Ashop team is passionate about ecommerce and they are determined to help you succeed with selling your products online. Over the years they have developed a platform that is powerful, easy-to-use, and functional. The big differences between these plans will be the number of products you can list and the amount of webspace you have. The additional webspace on the Professional and Enterprise plans will give you plenty of room to store images for your products and that, combined with the unlimited bandwidth, will keep your site loading fast and provide a good shopping experience for all of your online customers. Every plan provides all the tools you will need to create and manage your webstore in a professional environment. The shopping cart and website are hosted in a secure environment so that you know your information is kept secure and your customers have peace of mind knowing that every transaction is safe and secure. The Ashop ecommerce software is integrated with more than 80 major payment gateways, banks, and third-party processors, this ensures you will be able to do business worldwide and accept payments of all types. Your account will always be backed by around the clock support to answer your questions and guide you in optimizing your site to generate the most sales. For the next part of our Ashop Commerce review we want to look at some of the shopping cart features that are integrated into the software. Web-based (no installation) – the Ashop Commerce platform is all web-based meaning there is nothing to download or install and you can manage your account from anywhere you have internet access. Customization – the Ashop software is designed to be very flexible, you will have the ability to fully customize your website and store to look the way you want it to – without needing any special graphic design skills. Lifetime upgrades – The latest technology and new features will be updated seamlessly on your account on an ongoing basis, making your software the best it can be at all times. Inventory management – With the Ashop software you will have advanced category options, custom product variations, stock management tools, and the ability to set quantity discounts, discount coupons, gift certificates, and more. Design – Ashop offers a lot of design options; choose a customizable template and use the real-time editor to see changes as you make them. You will also have access to the HTML and CSS coding that you can manipulate to change any part of the design and layout to fit your store. Use a unique template design for each store you create. Storefront – automatically direct mobile users to your mobile storefront, use advanced cross-selling tools to boost your sales, and incorporate advanced filters to let customers search by specified criteria. Marketing and social – Ashop provides the tools for building and marketing your Facebook store. They also offer newsletter marketing tools and price comparison feeds. Your entire site uses the latest technology for the best search engine optimization, making sure customers can find your site with ease. Checkout – customize your Ashop customer checkout options with guest checkout, Facebook logins, custom checkout fields, multiple payment methods, and customized order completion pages. Metrics – Easy to understand account metrics let you gauge the effectiveness of every part of your store; see how changes in design, sending out a newsletter, or altering your advertising campaign changes the behavior of your website visitors. Content management – with Ashop you have full control over your content; upload images, flash, custom coding, a blog, product reviews and questions. The WYSIWYG (What You See Is What You Get) editor makes it easy to edit and customize your content without any coding or html knowledge or experience. B2B module – with Ashop you can customize pricing, shipping, and even products that are visible for B2B (business to business) customers vs. B2C (business to consumer) customers. Order management – fraud detection tools will flag an order before processing if it trips any fraud detection settings and SMS alerts can let you know every time an order is placed and/or send confirmation texts to your customers when an order is processed. Bulk order processing and customer specific discounts are other options you can customize in your Ashop shopping cart. Security and hosting – secure hosting and backups keep your website and data safe and available to customers at all times. 24/7 monitoring ensures the technical support team is aware of any issues as soon as they arise. All data is mirrored to additional servers so that if one machine fails another will take over immediate and automatically, keeping your site running smoothly all the time. Visit the Ashop website to learn more about this top shopping cart provider. Completing your own Ashop review will let you see exactly what features they provide that will benefit your individual business. If you have questions about any of the features you can talk to a support rep before you sign up. Use the 14-day free trial to test the service and make sure it is the right fit for your store.